Ok, take a deep breath. Chances are you’ve come here after seeing some of the many adorable Pomsky photos floating around the internet. Maybe you’ve even left a comment like those above letting the world know of your cyber-love for these cute little pups. And, after letting that initial wave of cuteness wash all over you, you’ve decided you want, no….. NEED a Pomsky to call your own. That’s understandable… it’s even normal. In fact, if you haven’t at least momentarily thought about the idea of cuddling up on your couch next to a sleepy, fluffy, so-cute-I-could-die Pomsky, you may need to check your pulse. That is, most of them are adorable. Others are less cute (so their pictures don’t get shared as much, and you probably haven’t seen them), but even those ones are still pretty darn good-looking. So, maybe a Pomsky is the right dog for you? Before you open up your wallet (or take out a second mortgage) to shell out the LARGE sum of money that most breeders charge, consider the # points below. A Pomsky might be the perfect dog for you, but it also might just simply be the perfect dog for you to DREAM about owning. By the end of this article you should have a better idea which of those two groups you actually fit into. Energetic, loving, and super-cute; Pomskies are a great cross-breed. Most pomskies combine a lot of the same characteristics of their parent breeds: Pomeranians and Siberian Huskies. Pomskies will often inherit the watchdog trait from their Pomeranian side, and the good-natured disposition of the Siberian Husky. Pomskies are also very intelligent, trainable, fiercely loyal, easy-going with most other dogs and humans, and a loving, cuddly breed. It’s pretty clear that they can make a great pet. Dogs (including Pomskies), in general, are a lot of work. It’s really fun to have a super cute dog that everyone wants to pet and shower with compliments, but raising a puppy is also a lot of hard work. You will be getting up in the middle of the night for potty training, taking a lot more walks, and losing some of the freedoms you may have taken for granted before you got your Pomsky. If you hadn’t really thought seriously about getting a dog BEFORE you saw the adorableness of the Pomsky, then it’s probably not a good idea to get one. Like anything else, the cuteness factor will wear off after a while. If you’re not ready to be a full-time dog owner and be responsible for everything that comes with it, then right now probably isn’t the perfect time for you to get a Pomsky, or any other type of dog. Anyone who takes an adorable Pomsky out for a walk down the street usually attracts tons of attention. You are the envy of almost any other dog lover you meet. I mean, everyone thinks their dog is the cutest dog ever, but your dog actually IS the cutest dog ever! Hearing everyone tell you how cute your dog is, and suddenly being the center of attention everywhere you go is pretty cool. All that extra attention would boost anyone’s ego. Every kid you meet will ask if they can pet it, and every adult will want to know where they can get one too! It’s like having a minor celebrity as your best friend! Pomskies are the hottest cross-breed around, everyone wants one. This has led to a predictable trend that you might remember from Econ 101: When demand goes up, so does the price. Which means…. Like, “thousands of dollars” expensive. Maybe you are interested in adopting a Pomsky or rescuing one from a shelter? Adopting any dog is a great idea, and one we highly recommend! However, finding a true Pomsky in a shelter or rescue group is very hard to do. In fact, after searching extensively on Petfinder.com I wasn’t able to locate any currently available for adoption in the entire USA. You may be able to find one to rescue, but it will take lots of research, lots of patience, and you may have to travel a great distance to pick them up. Your best bet to get a Pomsky quickly is from a breeder, and even they can have a pretty long waiting list of potential owners. So, even after you find a great breeder, wait your turn in line, and are ready to buy your Pomsky, you still must think about the high price tag. Buying a Pomsky from a breeder will typically cost over $2,000 and as much as $7,500. Plus, once you add in the normal cost of raising a puppy (typically around $1,270 the first year) you will be looking at a significant amount of cash! If you are on a tighter budget (like most of us) then checking out another breed, or a rescue dog might be the wiser choice. If you have told someone back in 2010 that you wanted a “Pomsky”, they probably would have given you a funny look and assumed were requesting some weird Russian drink. Pretty much no one had ever heard of a Pomeranian Husky mix back then. And for good reason. But how can that be? Surely at some point in history a lonely Pomeranian wandering through the forest must have stumbled upon a beautiful Husky, fallen irresistibly in love at first sight, and had beautiful Pomsky babies together. I mean, have you seen a Pomeranian and a Husky side-by-side? So, in the long line of doggy history, it’s very unlikely (although not impossible) that these two breeds would ever have naturally mated in the wild. Enter humans and the technological breakthrough of artificial insemination. In (year first breeder started) (Breeder name) came up with the idea to cross-breed a Pomeranian Male with a Siberian Husky female. The original goal was to combine the two gene pools to achieve a mixed breed which exhibited some of the best characteristics of both breeds. Mainly: the small statue and fluffy coat of the Pomeranian, and the beautiful facial features, friendliness and trainability of the Siberian Husky. Through this cross-breeding they ended up with some incredibly cute little puppies. Cross-breeding dogs is a practice that dates back as far the original Canines. Over history dog breeds have been developed by selectively breeding groups of dogs to attain specific “breed” traits. In fact, most scientists agree that it’s likely ALL dogs decent from the same line of ancestral wolf-dog, with most breeds being developed very quickly within the last few hundred years. The benefit of cross-breeding is a highly-debated topic within the dog community. The critics say that cross-breeding leads to more genetic diseases and problems. While the proponents claim that cross breading leads to Hybrid-Vigor and helps to eliminate a lot of the genetic abnormalities and problems that have arisen from generations of in-breeding within the lineage of many purebred dogs. So, does that mean Pomskies will be healthier than a pure-bred dog? It really depends on each individual dog to determine it’s potential for genetically based diseases down the line. That’s why genetic testing is so important in young puppies, and you should choose a breeder who does it, or encourages it. Additionally, it takes a lot of generations to fully understand the genetics of a new breed of dog. Since Pomskies are in the very infancy of their genetic history, it’s hard to know exactly what to expect. You’re still interested in a Pomsky, huh? A few angry people (not many, but some) will call your dog a Mutt, Mongrel, and other derogatory terms. This last one can be a hard thing for an owner to hear said about their beloved pooch, and if you do enough research on the internet you’ll find lots of these people (mostly purebred breeders it seems) who try to make anyone feel bad for wanting, or even thinking about getting, a mixed breed dog. If you don’t have thick enough skin to deal with these types of people when they pop up, then a Pomsky (or any other mixed breed) may not be right for you. Close your eyes and imagine the perfect dog. Hey, your eyes are supposed to be closed! Just kidding, but seriously that dog you just imagined sounds awesome, doesn’t it? Well, what if I told you that is exactly what every Pomsky is like! All those MAY be true, but they also may not be true. Except for the last one, which is always true about any dog. That’s why dogs are awesome. Pomskies typically inherit a highly protective streak from the Pomeranian side. This flies in the face of their Siberian lineage, as the Husky is just as likely to befriend a burglar as bark at them. This means that they can make a good guard dog, but also may be a bit yappy like a Pomeranian around other dogs or strangers. Pomskies are playful little pups. They love to spend time with you and desire your attention and affection. They attach well with everyone in the family, although may sometimes have a favorite human. However, this attachment means that they require a bit more time and attention than some other breeds, so prepare to lose a bit of your “down time” that you are used to! Pomeranians are very smart. Huskies are ranked just above average in intelligence. This means Pomskies are pretty bright. Since both parent breeds are above average in intelligence, a Pomsky is usually very trainable. They also love to please their owners, which motivates them in the learning of new tricks and commands. Siberian Huskys are working dogs. This means that they love to have a job to do and a Pomsky can inherit this same trait. Long periods of inactivity can lead them to become frustrated and destructive, so they are much happier having an active lifestyle that allows them to feel like they are important and needed. If those personality traits describe your perfect dog, then the Pomsky could be for you! If you are more interested in a lazy, aloof, care-free, simple-minded pooch. Then maybe you should check out the Basset Hound. This generation of the Pomsky (and owner) is blazing the trail for the future of the breed. Since the breed is so new, many Pomskies are still bred as a first-generation mix. This means that instead of having a Pomsky Mom and Pomsky dad, many will still have a Husky Mom and a Pomeranian Dad. This also means that the range of sizes, shapes, and colors can vary greatly. Some Pomskies will look mostly Pomeranian. They will be small, fluffy, and have many of the Pom personality traits. Some Pomskies will look mostly Husky. They will be larger, stronger, and display more similarities to a Husky. And some will be anywhere in between. As you can see, not every Pomsky is the same, and even litter-mates can be completely different from one another. However, a breeder should be able to give you a fairly decent guess (but no guarantee) as to what size, shape, and personality a Pomsky will develop by the time they are 8-10 weeks old. If you are searching for a certain body type, color, or personality, then you may have to check multiple breeders before finding just the one you want. Read more tips on predicting a puppies size or personality as an adult dog. Do you Love the cold? Is your favorite season winter? 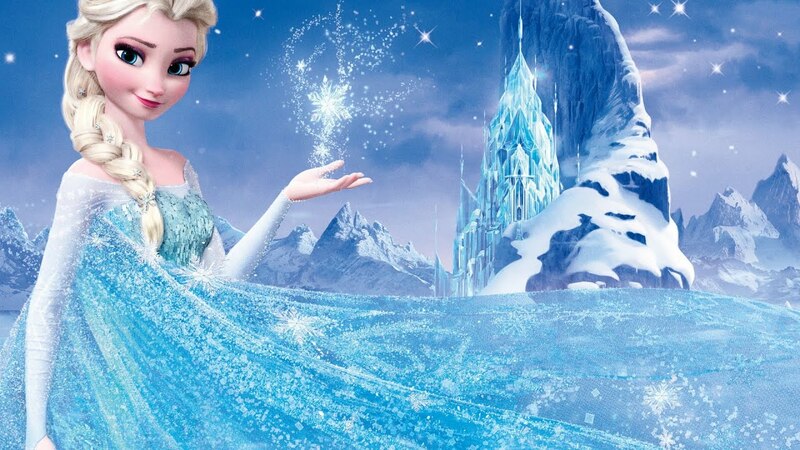 Do you dream of building a life size recreation of Elsa’s Ice Palace (download and replace link with internal) from the Disney hit “Frozen”? Then a Pomsky could possibly be your perfect dog! Being a decedent of two breeds which love cold weather, the Pomsky is ideally suited to live in cold climates. In fact, many owners will say that their Pomsky never seems happier than when they are playing in the snow! These little Pomskies are so comfortable in the snow in part because of their thick coats, which are specifically designed to keep them warm in cold climates! Both the Pomeranain and Siberian husky have a “double-coat” of fur, which enables them to insulate their bodies from harsh winter climates. Unfortunatly this also means that Pomskies shed. Never fear, this first shed is normal and is the dogs way of replacing it’s baby hair with much stronger adult hair. Unfortunately, it can look patchy and quite ugly for a few weeks. As an adult, you can expect your Pomsky’s shedding to more closely resemble their Siberian Husky lineage. 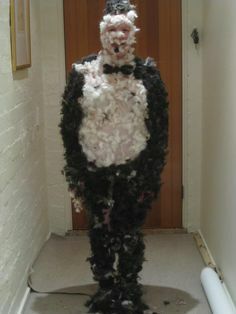 Twice a year they will experience a “blow out” of their fluffy undercoat. This undercoat protects them from Cold in the winter, and surprisingly enough also keeps them cool in the summer by acting as a “air conditioner”. So, twice a year, in the Spring and Fall, they shed out the hair to make room for new growth. Grooming becomes very important during shedding season, and unless you want your house to resemble a sheep shearing factory, make sure to pro-actively groom your Pomsky or risk looking like this. Do you live in the southern half of the US, or some other warm weather area? However, it’s not their genetically ideal climate and their bodies and coats are not designed to live in full-time heat. If this is you, then grooming becomes even more important, especially in the summer months. And making sure your Pomsky doesn’t get overheated in the “dog days of summer” (haha, I’m punny!) is not only important, but required to keep your pup happy and healthy. If you live south of Kansas and don’t own a brush, vacuum, and high powered AC unit, then a Pomsky may not be the ideal dog for you. I guess you must be serious about buying a Pomsky then, so there’s a few things you should know about Pomsky breeders. According the website Local Puppy Breeders, the number of Pomsky breeders in the USA has tripled since 2015. There were only 19 listed breeders in January of 2015, and now there are 58 in January of 2017. That’s a lot of new breeders popping up very fast. Lots of new breeders usually means, a lot of inexperienced breeders. Breeders who may not have quite the track record, knowledge, or trustworthiness of an established “pure-bred” dog breeder. Does that mean all new Pomsky breeders are just in it for the quick buck? It’s hard to tell which ones to trust, but it’s ultimately up to you to decide if the breeder you are purchasing from is ethical and trustworthy. There’s tons of great information already out there on how to choose a good dog breeder. *Be SURE to check out this printable checklist from the Humane Society. Contrary to what some people believe, not all mixed breed dog breeders are “bad”. And many of them are loving, caring pet owners who have a passion for their dogs. 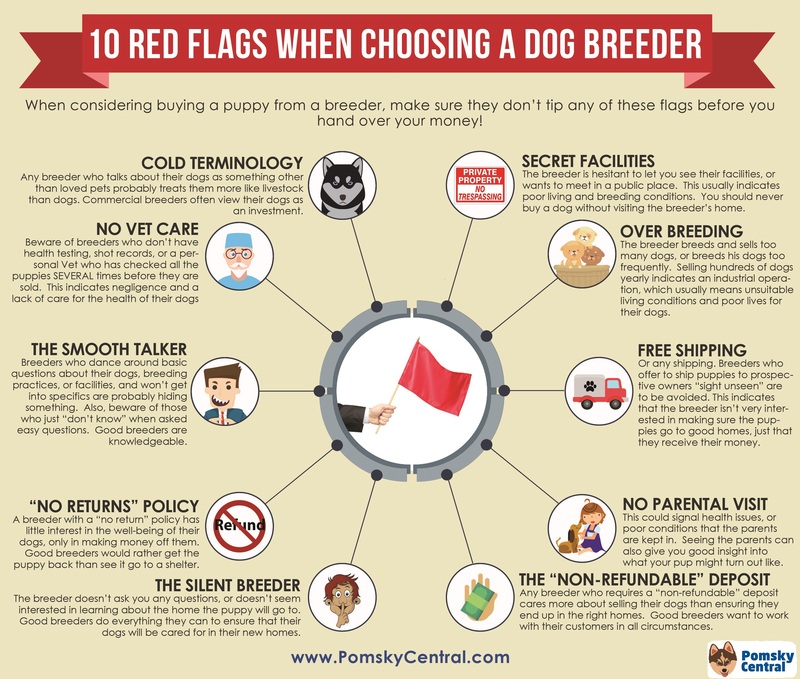 If you are going to find a Pomsky breeder, please do your research to find a good one that cares deeply about their pets and about ethical breeding standards. If you aren’t willing to do the hard work of finding a good breeder, or are willing to buy a dog from anyone, anywhere, then a Pomsky isn’t the right dog for you. I know. If you have come this far you’ve already made up your mind. You are GETTING a Pomsky. BUT, before you go through with it, consider this last point. All Pomskies are not created equal, and not every dog that claims to be a Pomsky actually is. In fact, there are many other dog breeds that may be just as appealing to you. And it’s even possible that the cute dog from the pictures you’ve fallen in love with is not a Pomsky at all, but another breed entirely. Not a Pomsky, a Finnish Lapphund puppy! This popular photo has been widely circulated through Pinterest, Instagram, and Facebook labeled as an adorably cute Pomsky. When it fact, it’s actually a Finnish Lapphund. *Trust me, I talked to the Swedish Photographer Tommie Ohlson about it. In fact, there are a few other establish breeds that would make a great alternative to owning a Pomsky. Not only would you have a more established pedigree history on the dog, but they are most likely much more affordable as well. Sometimes confused for a small Husky, the AKK is energetic and comes in a variety of colors. There is even a toy variety that only weighs about 15 lbs. Selectively breeding Siberian Huskies for smaller features had led to a miniature version of the Husky. You won’t get any of the Pomeranian, but will get all of the Husky, in this cute little package! The “Sammy Smile” is a distinguishing trait of this larger breed, and their friendly personality matches it. Plus you can use their coats as a fine wool! Their all white coat requires a bit of maintenance, but they are roughly the same size as most larger Pomskies. You already know they are sometimes mistaken for a Pomsky! This Scandinavian breed will grow a bit bigger than a Pomsky, but still require all the same grooming! Lively, intelligent, and super fluffy. The Japanese Spitz is a lesser known breed that typically weighs in at around 12-20 lbs. All 8 reasons why you should (and shouldn’t) get a Pomsky. And let’s be honest, if you really want one (who can blame you) this article probably was never going to talk you out of it. Ultimately the decision is yours. But remember that you shouldn’t consider becoming a Pomsky owner if you are not ok with all the possible negatives and unknowns listed above. You must be willing to do whatever it takes to care for, love, and train your Pomsky. If you are sure it’s the right dog for you, then by all means, save up the money and buy one! Just make sure to choose a good breeder (or get insanely lucky and find one in a rescue). If you are still on the fence though, I’d encourage you to spend even more time doing research on the breed. Pomskies can be a great dog with the right owner, and a nightmare in the wrong situation. Make sure that whenever you decide to get a Pomsky, or any other dog, you are completely ready for all the responsibility that comes along with dog ownership, and are not just buying a dog because it is cute.